Peter is survived by: his wife Helen; four children: Larry (Sheila), Alice (Dale) Barkman, Carol (Lorne) Dyck, and Sandra (Sheldon) Harms; four grandchildren: Clinton (Jessica) Barkman, and Jessica Barkman, Christopher (Nicole) Dyck, Caitlin Dyck, and six great-grandchildren. Dad was born October 31, 1931 to Peter S. Kehler and Katherina Kehler in the living quarters at the back of their store in Blumengard, Hanover, the sixth of 12 children. He grew up on the family farm near Mitchell. Dad grew up in a Christian home, and believed that Jesus was his Savior. 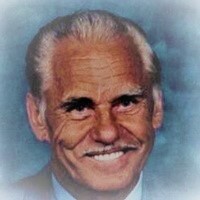 Dad was not a vocal man concerning his faith, but he lived his faith and was more comfortable singing about his faith. Dad and Mom went to Catechism/Baptism classes together at the Chortitzer Mennonite Church. Their teacher was his dad, Rev. Peter S. Kehler. Dad and Mom were married September 1, 1956 by Bishop Henry K Schellenberg. They bought 5 1/2 acres of land from her parents, right next door. They built a basement and had a house moved onto it. Over the years they built an addition to the front of the house, put in indoor plumbing, built the garages, bought an additional 12 acres of land from Mom’s parents and did other improvements to the property. Here they raised their family, and lived for the next 59 years. On their 59th anniversary they moved to Fernwood. They were married for 61 years. The family would like to thank all of you for your support, condolences, gifts and prayers, and especially for the many visitors our Dad got while he was in the hospital. The viewing will be held on Sunday, January 7, 2018 at 7:00 p.m. at Birchwood Funeral Chapel, Steinbach, MB, with a devotional at 7:30 p.m. The funeral service will be held Monday, January 8, 2018 at 11:00 a.m. at Birchwood Funeral Chapel, Steinbach, MB., with a viewing prior to the service. The burial will follow at the Heritage Cemetery, Steinbach, MB. Next Next post: Congratulations, Josh!